There are 3 lakes to enjoy in the greater Branson area. Table Rock Lake is the largest of the three. It’s a massive 43,000 acres of gorgeous Ozark mountain lake water surrounded by tree-lined shores. It is known for being a bass fisherman’s dream, however, in 2015 the lake was in the news when 140 pound paddlefish was caught in it! 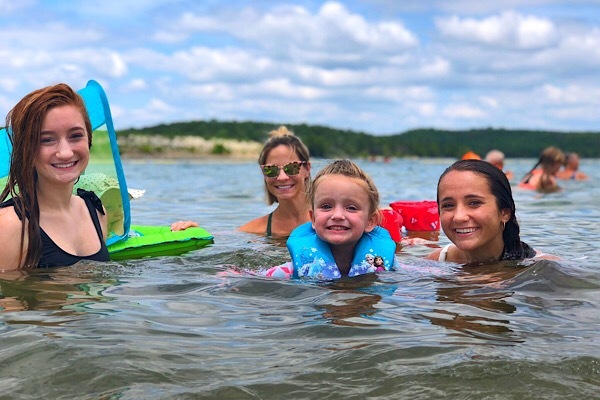 People love swimming at Moonshine Beach but cruising the lake is what most people come here for. Lake Taneycomo runs alongside popular shopping destination, Branson Landing. It is colder than Table Rock lake, making it a great place for trout fishing. In fact, it is one of the best trout fishing lakes in the country, stocked with 3/4 million trout each year! Bull Shoals is popular for many lake enthusiasts. The water is clear making it great for scuba diving. Some record setting largemouth bass, striped bass and walleye have been caught there. Whether you want to over-look the lake or walk out your back door to your own boat slip, we can help you find the lake living you are looking for.